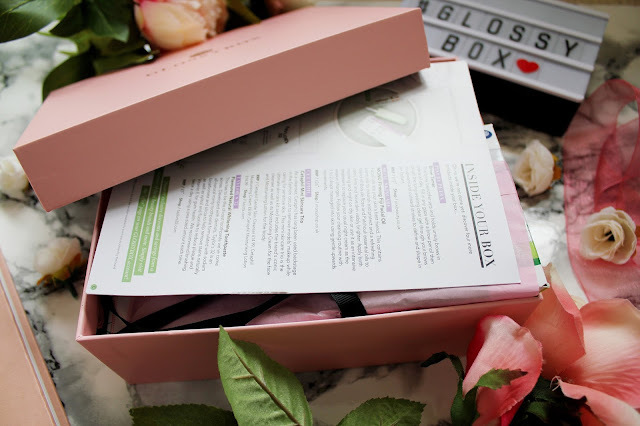 At the moment I find that Glossybox is the most ‘relatable’ box to my current lifestyle and the products that I really enjoy using. 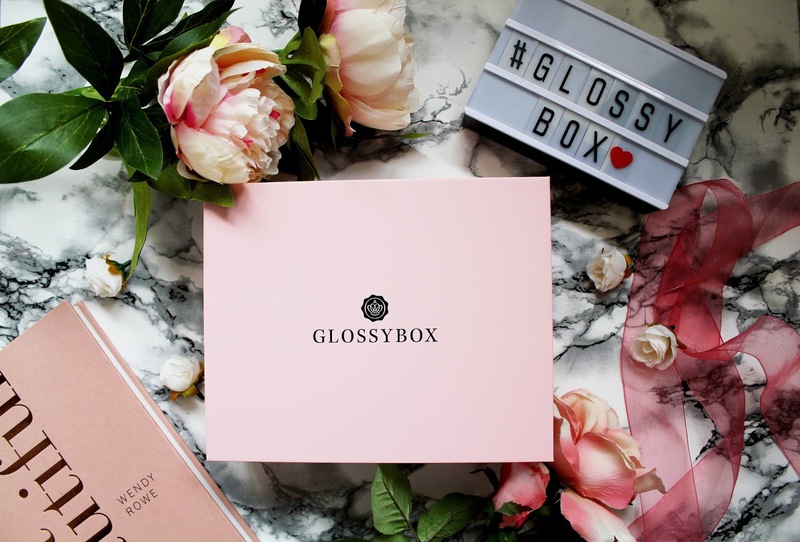 I’ve noticed this over the past couple of months that Glossybox has been the box I’ve gravitated towards due to the varied (but very relevant) product selections available each month. This months box sees products from StyLondon, Pixi, Monu, Cetaphil and Taylors 32. StyLondon Silligel Blender (Full size) - £6.99 available at ASOS here. 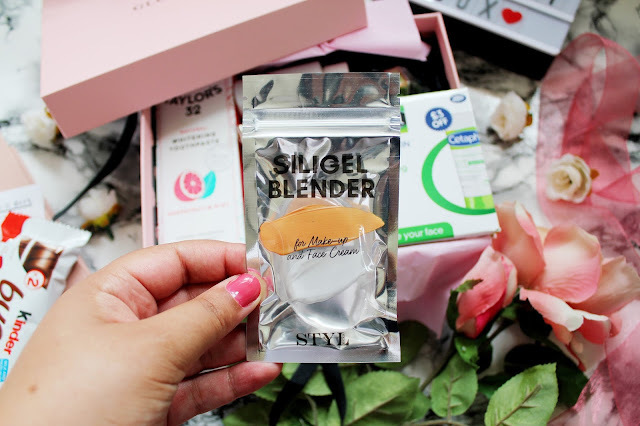 As much as I love my beauty blender, I also really enjoy using the silicone blender as I find this is perfect to use with creams/moisturisers. I love using this with my MAC strobe cream when I want to achieve a more glowing/dewy look. This is definitely a lot more hygienic than a beauty blender but I still prefer it when I’m trying to blend my concealer. Monu is one of my favourite skincare brands and I’ve tried as everything I’ve sampled from Monu I’ve really liked. 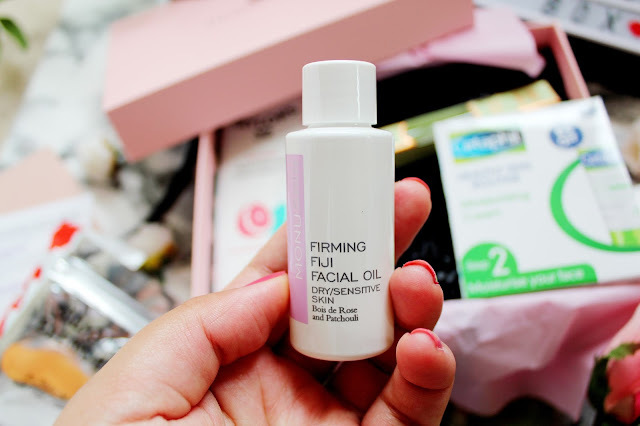 I’ve been a bit obsessed with using facial oils at the moment and this is a new favourite of mine. This oil is formulated with Patchouli and Bois de Rose, which leaves my skin feeling firm and looking brighter. Pixi Brow Tamer (Full size) - £12, available at ASOS here. This is a product I’ve used for years and my current brow tamer is running very low so I was so happy to see this in this months box. I use this to run through my brows after filling them in and it picks up every hair and makes my brows stay in place all day. 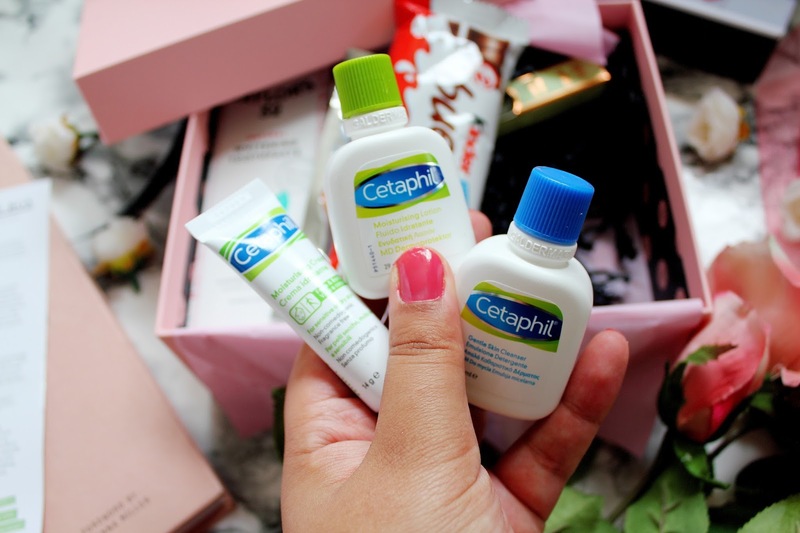 Cetaphil is a brand I’ve never tried before, but being trusted by people with extremely sensitive skin, I’m going to pass this one over to a friend, which can benefit from this more than myself. This trio include a cleanser, moisturising cream and moisturising lotion. 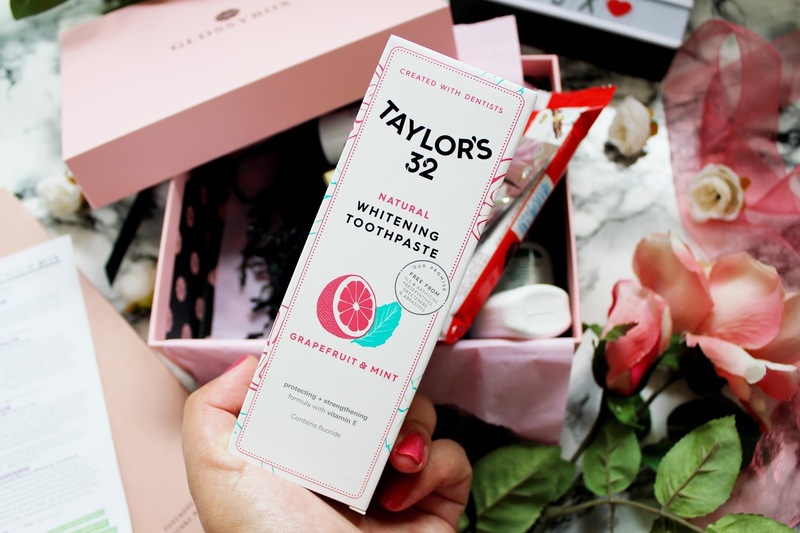 I’ve never really found a toothpaste which I’ve loved until now, a little more expensive than my usual toothpaste I pick up, this toothpaste from Taylors 32 is developed by dentists and is all natural. It’s formulated with sodium bicarbonate and silica to help remove stains on your teeth. I’ve really enjoyed using this so far and it’s definitely worth trying out! 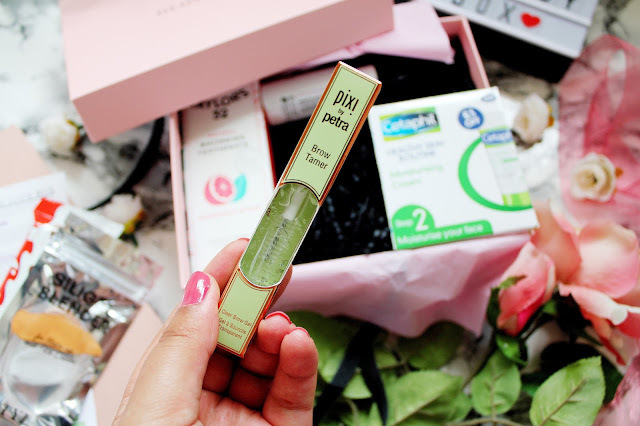 Overall, I’ve really loved this months box as I’ve found a new toothpaste, stocked up on an old favourite (my clear brow gel from Pixi) and tried out a new facial oil. 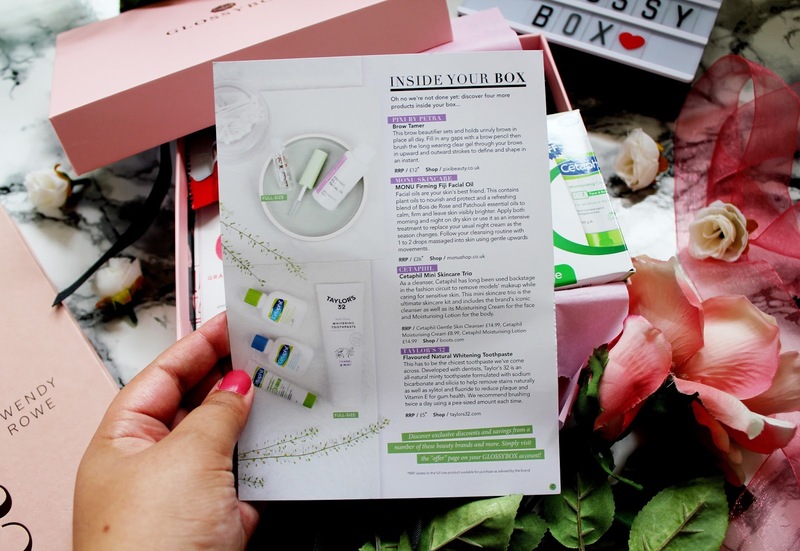 If you haven’t already, I would definitely recommend trialling this months box. 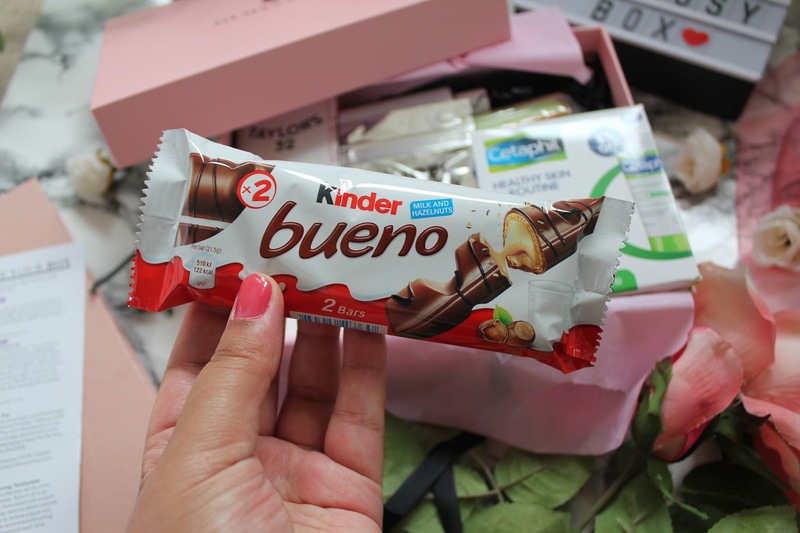 I really want a Kinder Bueno now... Hahaha! Great post! 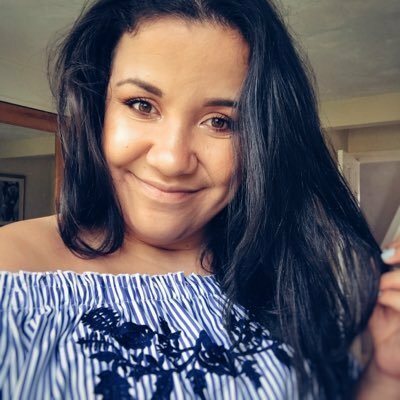 They look like amazing products! ha ha is it wrong i love the bueno the most!